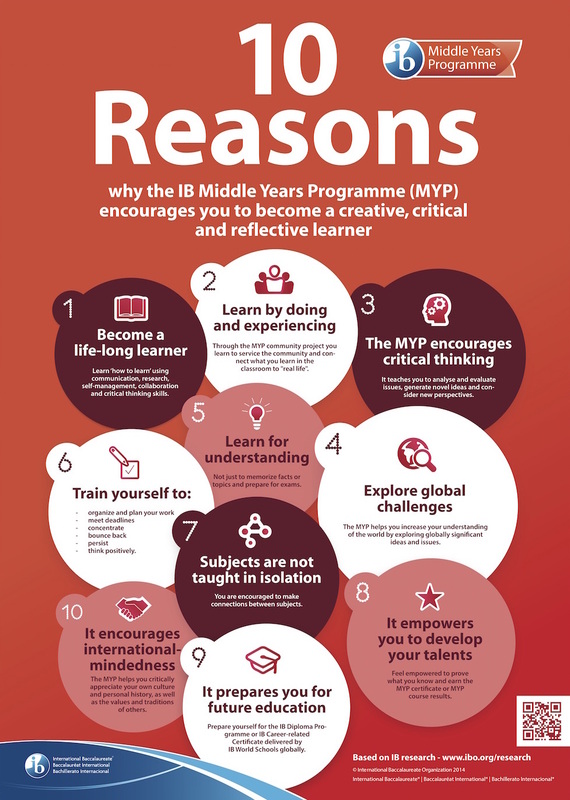 The Middle Years Programme will help your son or daughter to develop and hone what the IB refers to as “Approaches to Learning” skills in an effort to cultivate good habits of life-long learning and exploration. Learn by doing and experiencing. The MYP encourages critical thinking. Train yourself to organise and plan, persist and think positively. It empowers you to develop your talents. It prepares you for future education. – Holistic learning: the MYP offers an approach to teaching and learning that embraces yet transcends the focus on traditional subjects. 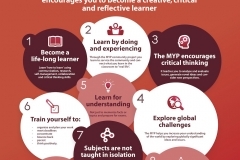 While insisting on thorough study of various disciplines, the MYP accentuates the interrelationship between them, so advancing a holistic view of learning. – Intercultural awareness: the MYP aims to foster understanding among young people. By encouraging students to consider multiple perspectives, we aim to foster tolerance and respect, which leads to empathy. – Communication: the MYP supports enquiry and understanding, and allows student reflection and expression. The ISB offers a strong languages programme as a means of teaching the students an appreciation for different cultures as well as other ways of thinking and expression.